If creepy crawlers fascinate your child, then NAU’s summer bug camp is an ideal summer activity. 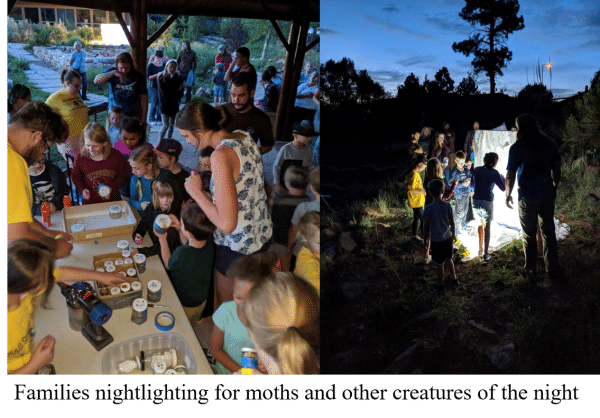 The Colorado Plateau Museum of Arthropod Biodiversity will host two week-long summer camps for children ages 6 to 10 (If your child falls outside of this age range please contact us, we do make exceptions for older children who really love working with bugs.). Campers will learn about insect natural history and biodiversity through a series of fun project and activities. 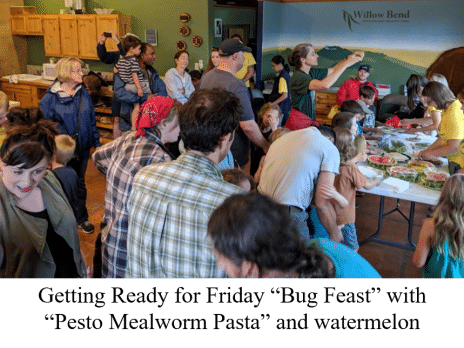 Campers collect insects and create their own insect collection, build their own bug, and we finish the week with by preparing and sharing insect cuisine with invited family members and friends. The first camp with take place Monday, June 17, through, Friday, June 21, and the second camp will take place Monday, July 8, through Friday, July 12. Both camps run from 9:00 AM to 4:00 PM and will be held at Willow Bend Environmental Education Center, Flagstaff, Arizona. In addition to the “Summer Bug Camps” we also offer the “Traveling Arthropod Show” for school and public groups during the year. We are developing computational R-Code programming “Biodiversity Counts!” for high schoolers. The fee for each of the 2019 Summer Bug Camps is $215 per child. NAU staff and students receive a $15 discount per child when they register before June 1 for the June camp and July 1 for the July camp. Scholarships are available for families that fall under Flagstaff mean annual income levels shown below. Please use this chart below to see if your family qualifies. If yes, please email Neil.Cobb@nau.edu for an application. Scholarships will be awarded on a first-come, first-serve basis, with consideration of the applicant’s qualifications. Our new online registrations are currently being accepted for 2019. If you would like more information about summer bug camp, please contact Neil Cobb at Neil.Cobb@nau.edu or 928-607-4075. Lindsie McCabe, a Ph.D. student whose graduate research involves understanding the effects of climate change on native bees, will be the 2019 camp leader. 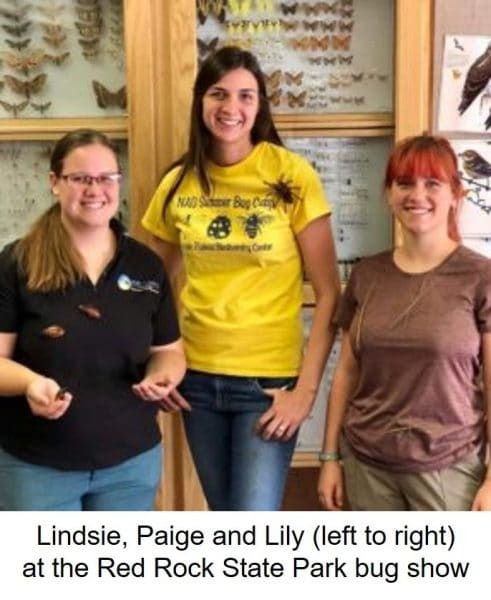 Lindsie has always had a passion for insects and loves to share her passion with aspiring entomologists. Paige Chesshire, a graduate student who is researching plant-insect interactions along an elevation gradient, will be the 2019 assistant camp leader. Paige is passionate about bugs and enjoys sharing their fascinating world with campers. Lily Davis, is a veteran Bug Camp counselor. She is an education major who helps with all of our outreach activities and is formatting our summer bug camp activities for use in classes and after-school activities. Other museum staff and curators will assist Paige and Lindsie with camp activities to ensure that a minimum of two adults accompany campers. All of the faculty and staff working with campers have undergone a background check by the university. Sadie Matteucci, an aspiring NAU Environmental Science undergraduate student. She is a natural ambassador for insect biodiversity and loves teaching kids. She is currently finishing an independent research project on insect pollinators! Megan Brown is very excited to be working with the NAU Summer Bug Camp this year! She is a Junior in the College of Education at NAU studying to become an Elementary School Teacher. She really enjoys learning and teaching about nature and this will be her second time instructing for a nature-based summer camp. It’s going to BEE a great summer! Carrie Cobb, will be a junior counselor “in training” for both camps. 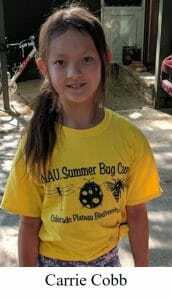 she will be a 5th grader at BASIS Flagstaff and has participated in bug camps every year. Interested in becoming a junior counselor? 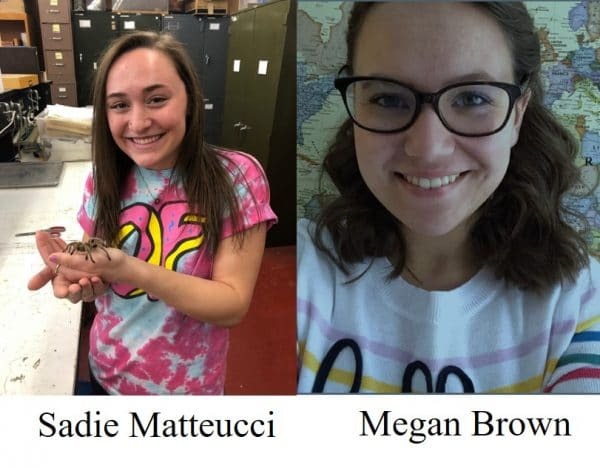 We are now seeking enthusiastic high school and undergraduate students to join our bug camp team. Junior Counselors are responsible for assisting the camp staff, including helping campers with activities, clean-up, and general supervision of the students. Junior Counselors are expected to act as mentors to the students in the program. For any questions about the process contact Lindsie McCabe. These are just some of the featured activities offered throughout the week. Every day we spend time taking campers on hikes collecting bugs and they make their own collections. Day 1: Interact with live bugs from the insect zoo. Campers are taught how to care for insect pets. Day 2: Build your own bug! Campers construct their own bug using real insect parts. Day 4: Go on an insect scavenger hunt! Campers learn about insect diversity and conservation while they search for bugs. Day 5: Make insect cuisine! Campers learn about the importance of insects as a source of food for many species, including humans. Parents are invited to an insect banquet and open house. All of the supplies for camp activities are provided, and children keep their own insect collections. Formal List of Activities: Interactive lectures include fun “hands-on activities” while they learn about “bug” biology.